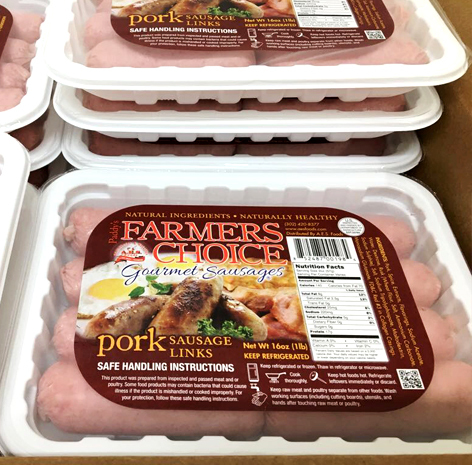 Paddy's Farmers Choice Sausage is freshly made from prime cuts of pork or beef, that is high in quality combined with the finest ingredients. 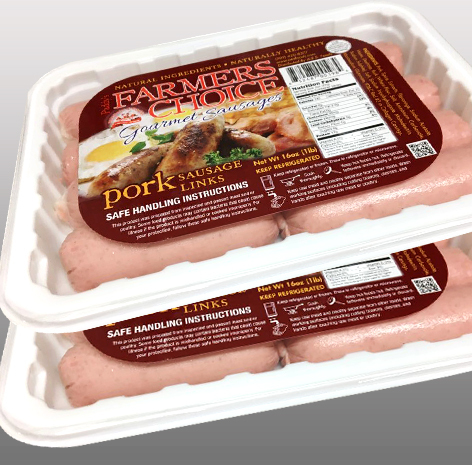 Our sausage has a perfect balance of flavor and each bite is moisty, juicy and has a bold meaty original flavor. It offers superb taste! 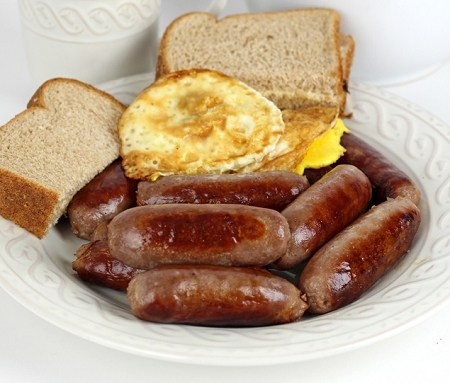 Choose either small size (1oz) sausages, or large size (2oz) sausages. Buy now, fry/grill and enjoy! NET WT 96 OZ, (6 LBS). I love these sausages both beef and Pork. They are amazing. They have the home taste. My husband is always looking forward to having them. I will definately keep ordering. The delivery was so timely. The pakaging was very good. Well I have bought sausages from different vendors in US and so far these have beat them all they are juicy and really taste better. 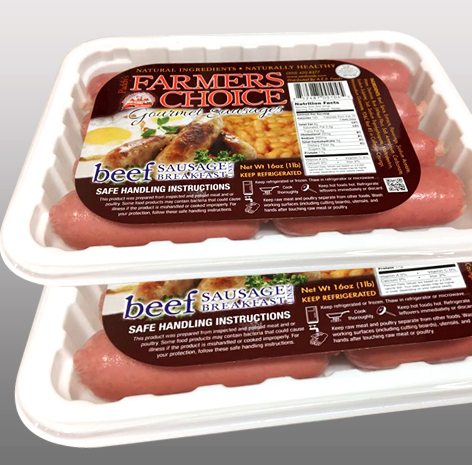 Hi, I love, love the sausages from packaging to quick delivery and the taste, it took back home and I like they do a follow up after some time to know if you like what you ordered. Job well done and I will be definitely reordering soon. Thank you and God Bless! A taste of home!!!! timely and professional delivery. Will be reordering! thank you for a great products for the East African Diaspora! I absolutely enjoyed Paddy's farmers choice sausages. Delivery and packaging was excellent. It's a job well done.. Ill definitely be back for more. Awesome products but shipping costs a little prohibitive. Great taste and very delicious. 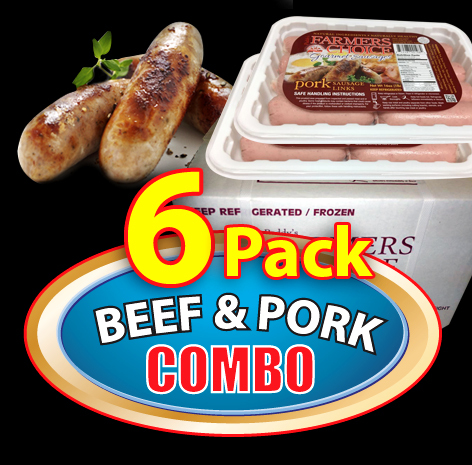 Both beef and pork sausages have a great taste. Good packaging and fast delivery. Will definitely be ordering again. I don't know where to start! The customer service is outstanding! They called me right after I placed my order to discuss shipping and worked with me to make sure I got my order on time and still cold. The sausages themselves are just fantastic! They taste exactly like the ones we had on our trip to Kenya recently. I made up a full English breakfast the weekend after we received our order and the sausages were the delicious highlight. They even let me know that they sold their product relatively nearby in Dallas, just in case I wanted to save on shipping on future orders. I am definitely buying these again! I highly recommend the produce and the company! Great taste definitely ordering more.packaging fantastic and on time. Loved the sausages! They taste sooooo good and made me feel like I was back home in Uganda! Will definitely buy more and spread the word!! Best regards, Nancy M.
these sausages taste just like the ones I used to eat at the Farmer's choice duka in Limuru. they are expensive but will be ordering more. Second time purchasing the pork sausages and first time trying the beef. We definitely prefer the pork ones - they taste exactly like what we grew up eating. Highly recommend for anyone craving farmers choice from Kenya Delivery was extremely fast - received them the day after placing the order! Oh my god. I finished my pack one after the other! I had missed this flavor for over a decade. And they refreshed my memories.. wonder wonderful . I definitely I am goin for more.. both pork and beef. I need BlueBland ya Kadogo please. Delicious, just like the English breakfast sausages I grew up eating. It's a whole lot of sausages. My freezer is full and stocked up. Product came in time. Still fresh and no issues with shipping. All my questions and concerns were addressed before during and after shipping. Great customer service! I’m definitely ordering more and intend to keep this business partnership ongoing in the near future. Thank you for making this possible - a taste of home! Great sausages. I recommend buying the biggest package you can afford. The packaging is amazing too. Great job guys! The package arrived much sooner than expected and it was well packaged with ice packs. I tried the sausages and gosh the memories of home eating them were savored! Thank you very much for carrying this product. Love them!!! They run out....am on the next order call...GREAT BUY!!! Seriously, I feel like I am home when I dig into these sausages. Memories in every bite. The products show up fresh and ready to consume. This is the third time I have ordered these sausages. My friends don't get it until they taste and are like "ok, yeah. Kenyan sausages are definitely not the same as US ones!" I love that I can buy then online as opposed to dying of cravings. They are great. Copyright AES FOODS. All Rights Reserved. website design by DLWV Creative.